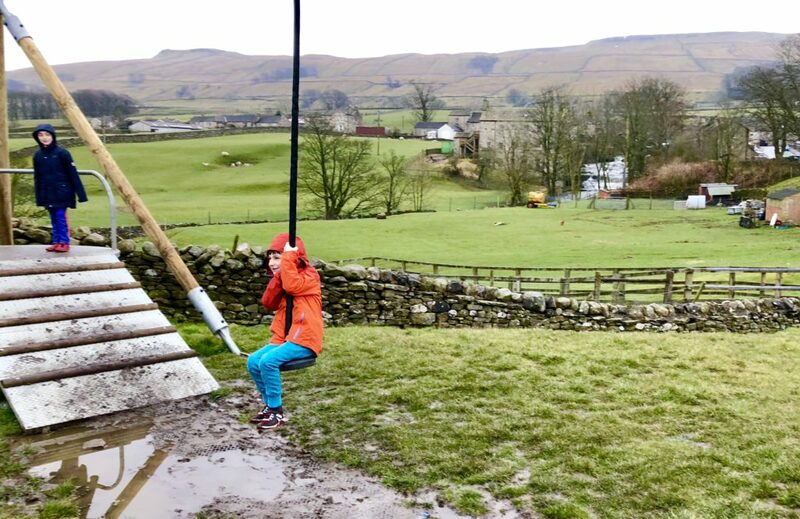 After our climbing exertions, we spun again and were sent to Hawes, in the Yorkshire Dales. It’s a proper Holiday destination, but getting here on public transport took a combination of the scenic Settle to Carlisle train lines and the friendly Little White Bus community bus service. It’s our first official Youth Hostel of the trip, … and our first playground zipwire action.